Everyone should have knowledge about astrology, ayurveda and yoga. God has given sense, plants, physical and mental capacity. We can improve your our life by using them. Everyone should have dreams and ambitions. They should try to achieve them. It is very important to know how thread is created. One thread is equally effective to many gemstones. Our life is balance on naval. There are several reasons of gas in the stomach. People face pain in hand after the age of 30. Everything happens with reasons. In religion or life, nothing happens without reason. There are 3 pulses, which balances the body, in wrist. It is also known as Aadi, Antya and Madhya or Ingla, Pingla and Susumana. People can balance these pulses and get rid of body related problems. Red color is the symbol of lord Hanuman. Red color is also symbol of power and energy. Red thread is tie up to get rid of bad obstacles and good health. 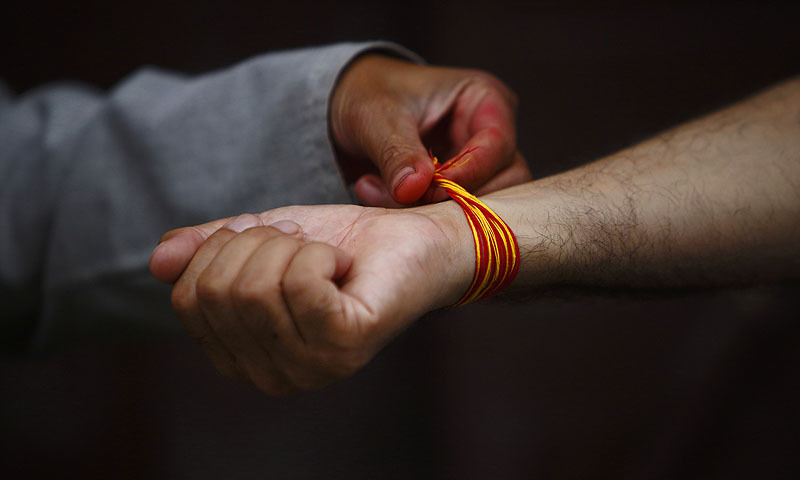 One can also balance Sun, Moon and Jupiter by tying up red thread on wrist.